In the fall of 2012 the Mechanicsville Elementary playground was roped off as the top platform and slide were deemed unusable by the county. In September 2012, we asked for donations in lieu of flowers. The generosity grew and funds began to grow faster than we imagined possible. Through donations, Nathan Chris Baker and Go Out Be Great fundraising, MES community and PTA fundraising, we were able to raise all the money needed to build a bigger than expected playground at Mechanicsville Elementary! 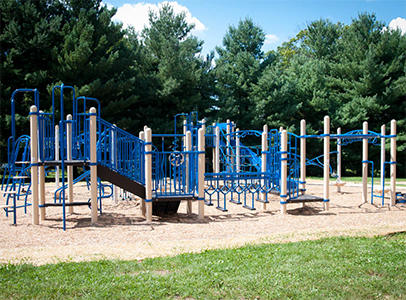 On August 24, 2013, we were able to dedicate the playground at Mechanicsville Elementary in honor of Nate. We’ve struggled with the words to express what this day meant and the words just don’t meet paper. We are so thankful for what a community can do when we all come together for a common goal. We are so grateful and honored to part of a community that rallied to support us in our darkest moment and with so much more than just a playground. This is the playground that Nate built. This is a playground that you built. A playground that a community came together and built. A playground that we are honored to be a part of. We watched as the kids went running by to play on the playground and we thought to ourselves – we ALL did it. We did it. We did it for Nate. We did it for the community. We did it for these children. We say WE but we know that this is more about all of YOU than it is us! WE didn’t build anything – YOU built this playground. This playground is the collective efforts, generosity, and love of so many people. So much so that we could never begin to thank each and every person for your contribution. We felt the presence of Nathan and his approval of this amazing playground.